Fiji Currency - What is it? How much is it worth? What is the Fiji currency? How much is it worth? 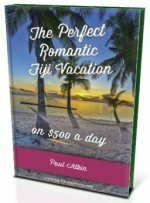 Find out here the currency of Fiji and what you need to know while travelling here. The Currency of Fiji is the Fijian Dollar (FJ$), not to be confused with dollars from other countries. While you are travelling in Fiji, this is the currency you must use. This page is solely about the currency and how it came about. For information about money and banks while you are travelling in Fiji, visit our Fiji Money & Banks section. The information below is current up to May 30th, 2013. The 50¢ notes was replaced by a coin on March 3rd, 1975. Then in 1995, the $1 note was replaced by a coin. In 1996, the $50 note was introduced, followed by the $100 note on April 10th, 2007. The $1 coin replaced the coin in 1995 and the 1¢ and 2¢ coins were discontinued in 2009. From 15 January, 1969, the government introduced notes in denominations of 50 cents, $1, $2, $10, and $20 with the $5 note coming in 1970. The Central Monetary Authority took over the issuance of money in 1974 and then the Reserve Bank of Fiji took over in 1986. On December 12th, 2012, it was unveiled that the Queen is no longer going to appear on new banknotes and coins. She is going to be replaced with plants and animals native to the Fijian islands. The new images on the banknotes include the rare kulawai lorikeet, the beli fish, and the tagimoucia flower, while the coins depict flying foxes, parrots and the banded iguana. (Visit our Fiji Animals section).